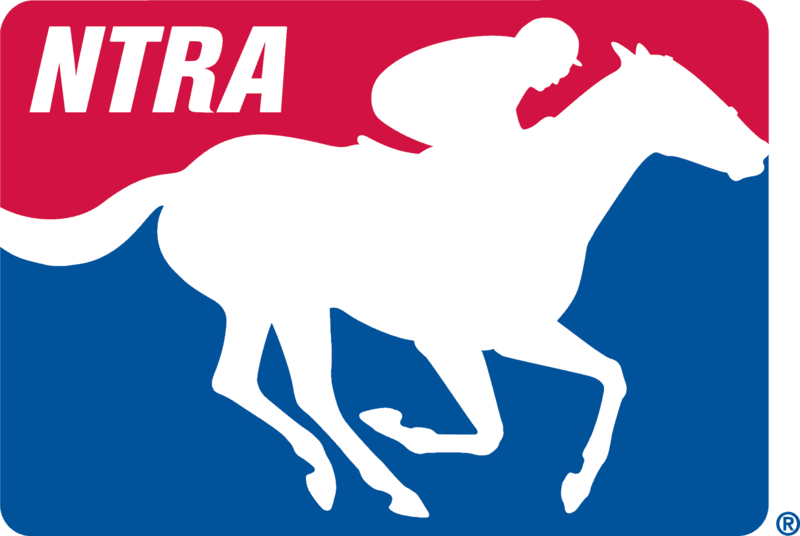 Eric Wing: Welcome to this morning’s NTRA Communications national media teleconference. Big weekend of racing coming up, particularly in Upstate New York and in Chicagoland, and the “Summer at Saratoga” series will roll on this weekend. This week’s installment, Saturday from 5 to 6 p.m. Eastern on NBC Sports Network, and on that show will be the live runnings of a pair of Grade 1 $600,000 stakes events from Saratoga: the Alabama for three year old fillies, and the Sword Dancer Invitational for long-winded male grass runners. Also wanted to just alert everybody that the Horse Racing Radio Network for the eighth straight year will be live onsite at Arlington Park for all the festivities surrounding the International Festival of Racing. Mike Penna and his crew will be there for coverage of Arlington Million 30. That race is a “Win and You’re in” event for the Breeders’ Cup Turf. The show will be on Sirius Channel 94 starting at 4 p.m. Eastern, and the program will also include the live runnings of the Grade 1 Beverly D. Stakes—that’s a “Win and You’re in” for the Breeders’ Cup Filly and Mare Turf—the Grade 1 Secretariat Stakes for three year old grass runners, and the inaugural running of the American St. Leger Stakes, a mile and eleven sixteenths on the grass. The HRRN team will also have the special Arlington Million edition of their morning talk show, the “Equine Forum”, from 8 to 10 a.m. on Sirius Channel 93 and selected outlets in Lexington, Louisville, and elsewhere, and they also stream live on the Internet. Okay, a busy call scheduled for this morning. A little later we’ll talk to trainer Dale Romans, who’s got Little Mike lined up for the Arlington Million, and he’s got a trio of very capable runners set for the Secretariat Stakes in Silver Max, the Virginia Derby winner; Cozzetti, the Arlington Derby winner; and, of course, Finnegans Wake as well. And we’ll also check in with Trainer Tony Dutrow. He’s got one of the key horses in the Alabama, Grace Hall, who comes off a very easy win in the Delaware Oaks. First up, though, we’re happy to welcome in a Hall of Fame trainer, who will also have a very busy Saturday. He’s got Point of Entry set for the Sword Dancer Invitational at Saratoga, Sea Island for the Alabama, and Boisterous out at Arlington in the Arlington Million. We welcome him in now, trainer Shug McGaughey. Shug, it’s Eric Wing in New York. How are you this morning? Shug McGaughey: I’m fine, Eric. How are you? Eric Wing: I’m fine, thank you. And, Shug, in looking at your two grass runners this weekend, it seems that in some respects you set the path for them a month ago when you elected to run Boisterous in the Arlington Handicap, and Point of Entry in the Man o’ War at Belmont. That decision seemed to work out pretty well. Point of Entry a very impressive winner, and Boisterous did everything but win at Arlington. How did you elect to choose those two kind of parallel paths this time a month ago? Shug McGaughey: Well, after Point of Entry won the race at Keeneland at the end of April, I decided to kind of give him a bit of a—give the space of races a little—his next race a little bit more, just so hopefully if he was that kind I’d have a fresh horse for the rest of the year. So I knew when the Man ‘o War was, so I just kind of put that in the back of my mind that’s where I’ll go with him. Boisterous, I’d kind of gotten a little bit turned around a little bit this winter in Florida with him, and so I elected to run him in the Fort Marcy. And then when he ran well in thereII wanted to run him in the Manhattan. And so then I kind of—I wanted to keep them separated, Man ‘o War for Point of Entry, and, the other long race at Arlington Park and the Arlington Handicap, so that was pretty much just trying to keep them separated and in good company also. Eric Wing: Hey, Shug, in looking at Sea Island and the Alabama, she’s kind of an interesting new face in the three year old filly division. Last time out, and maybe she didn’t beat the deepest field in the world but she certainly beat an accomplished three year old filly in St. John’s River, or an accomplished older filly, I should say. Was this a case of maybe a little bit of a combination of getting the right distance and kind of the light bulb going on at the right time? Shug McGaughey: Well, I do think it was probably both things, I think the three quarter race that I was kind of forced to run her into, because I just hadn’t run her because races (inaudible) sort of put—maybe lit the light bulb a little bit, and she came out of that race really well. And so I’d wanted to run her in the Coaching Club, but when two of the others didn’t go at Belmont, then I just, I couldn’t go in there with much confidence. And so I elected to go in the two other. And, yes, I thought she ran really well that day, and she’s the kind of filly that she’s going to run that far, and I don’t know whether some of the others are going to really want to run that far. We’ll just see. I mean I’m kind of throwing her to the wolves pretty quick, but I think it’s worth a shot in pulling a mile and a quarter, because I do think she’ll run that far. Eric Wing: Okay, and lastly before I throw it over to the media, Shug, to take nothing away from great races like the Arlington Million or the Sword Dancer, but you’ve won the Alabama four times going all the way back to 1986, and you’ve won it with some familiar names like Versailles Treaty and Heavenly Prize, and Pine Island. Does the Alabama hold just a little bit of extra appreciation in your mind given your great history in the race? Shug McGaughey: Well, as you say, we have had some luck in it, and, you know, we’re looking forward to running in it on Saturday. But I think it’s a good race. I think that the Alabama and the Travers for three year olds at this time of the year are both kind of set at a great time coming off the Triple Crown for the colts, and you know, the bigger races in New York and the Kentucky Oak and such for the fillies. And, it looks like to me that they’re going to get a pretty solid field for the Alabama, so it kind of worked. But it is a race with a lot of tradition, and it’s a race we like to participate in, and we think we’ve got a chance. Jennie Rees: Yes, Shug, I’m just thinking back to when you had Lure and you put him on the grass and he became, of course, this, you know, great horse. But I remember you saying that, you know, that was kind of an unusual sort of like last ditch thing is you put him on grass when the three year olds like that, but that you thought he had the talent. Tell me—I guess my question is so what’s with all these grass horses all of a sudden that you have? Shug McGaughey: I don’t really know either. I mean some of it is Seeking the Gold mares that seem to—the horses that seem to like the grass, even though he never was on it, and you know, a lot of those mares never was on it. I mean Point of Entry’s mother never was on it, Matlacha Pass, and, then Boisterous’ mother ran on it, and she was third here in the last class. Then my Cox’s Ridge, he did have a little bit of history with the grass, and then Vanlandingham was his son, and he won the International. But it is—and then some of the others, just with the sire, I mean Giant’s Causeway, Pulpit well, she’s on the dirt, but, (inaudible) have sort of kind of liked the grass in time, so it ‘s a bit different with the big fast horses that we do have now. Jennie Rees: Yes, and just how many horses have you run in the Million, because I know Lure was supposed to go, but then he was maybe to go to England, and something with the vaccination that…? Jennie Rees: The soft turf. Shug McGaughey: Later on. But that answers the first part of the question. The only other one I ran was Good Reward and that was on soft turf, and he didn’t like soft turf either. But now if it’s soft this weekend that’ll help us. Alan Carasso: You know, just looking at the same thing, and the fact that this is Arlington Million number 30 coming up and you’ve run just the one horse. But just wondering what it would mean to you to win a race as prestigious as the Million? Shug McGaughey: Well, I was there at the first one, and I think it’s a great race. I remember when I was at Arlington Park and hadn’t been training very long, and they said they were going to run a million dollar race, and I thought it was the craziest thing I’d ever heard of. But it’s, you know, it’s a race. A lot of good horses have won the Arlington Million, and I think that it’s just a very good race – a nice race for me to win or for anybody else to win. So we’re looking forward to participating, and Boisterous, he had a nice work yesterday and he seems to be coming into the race good, and, I think that he’ll be a factor. Alan Carasso: The turf there has been pretty on the hard side for most of the summer, but like you said, it’s taken some rain and it’s supposed to take a little more rain this week, and Boisterous does seem to like it with a little bit of ease in the ground. Shug McGaughey: He does. You know, if it’s got a little bit of give it does help him. When we ran him in the Manhattan it was hard that day, and I mean they really, really finished fast, but, I didn’t think he had quite the kick that he has when the ground does have a little give. And that doesn’t have to be soft or anything, but if it’s just not real, real hard I think that—I think it does help him. Marcus Hersh:: Hi, Shug. You got through most of the stuff I was going to ask in the last couple statements. I’m just curious, who’s the jockey this time? Marcus Hersh:: Okay. And would you hope that he doesn’t follow quite as far behind as he did in the Arlington Handicap? And it seems like he’s more typically sort of a mid-pack stalking kind of horse. Is that…? Shug McGaughey: Definitely. You know, I mean unless something would happen and they were going too fast, but I think that Lezcano will lead the race, you know, as it comes up, and I think he probably will have him laying a little closer than he was in Arlington Handicap. Marcus Hersh:: And when does he ship over here? Danny Brewer: Hey, Shug. As far as the Alabama is concerned, it’s coming up pretty doggone tough. Is this the chance for Sea Island to prove she belongs with the elite three year old fillies? Shug McGaughey: Well, if she runs good it’ll prove that. But, the biggest thing is I think she’s coming off a good race here, and that she’ll run that far. I mean as I said earlier, I’m throwing her to the wolves kind of a little bit earlier than I would, but I’m not going to get a chance to run her that far again. Her mother ran that far, and I just think that she’s going to be the kind of filly that’s going to keep going as she did in the two turn race she ran here early in the meet. They kind of collected up all her (inaudible) in the stretch, and then she went on and then finished and then won pretty handily. I think going a mile and a quarter sort of separates a lot of them and obviously I haven’t seen it yet, but I do think she’s one that will run that far. But, whoever wins the race, the style that it’s going to be is going to be a pretty darn nice filly and run awfully good on Saturday. Danny Brewer: Do you think if she can win here she’s a Ladies’ Classic in the Breeders’ Cup? Shug McGaughey: Well, it would it sure would be a nice thought. I mean I haven’t really given that consideration because I’ve been more kind of in tune to what’s going on this Saturday. But, obviously we’d like to have a collection to come to California for the Breeders’ Cup, and if she’s one that can prove that maybe she belongs then it would sure be nice to bring her out there. Eric Wing: Shug, before I forget, where will you be on Saturday? Shug McGaughey: I’ll be at Saratoga. Eric Wing: Okay. And I noticed that all three of your Phipps Saturday stakes runners worked yesterday. You referenced Point of Entry having a nice work. Did Point of Entry and Boisterous work together, or did they work separately? Shug McGaughey: No, they worked separately yesterday. They worked together prior to that, but they worked by themselves yesterday both of them. Eric Wing: Okay. And lastly, Shug, with Point of Entry in the Man ‘o War, I thought it was an interesting race because she sat close for the first time in a long time. Was that indicative of the fact that he does have tactical speed, or was it just a function of the race fractions being so slow in your opinion? Shug McGaughey: Well, I don’t know that he’s got natural speed, but he can lay up close when they’re running that slow. I mean I remember when they turned down the backside thinking, my God, how are they going this slow, but I think that that was a function of a great ride by Jose Lezcano myself that he saw what was going on in the race and he let him lay up there to where somebody didn’t steal it. But—so that was something that we hadn’t really seen before, and something that I liked to see, because obviously here in the Sword Dancer going a mile and a half they’re not going to be going real fast and hopefully if need be that Johnny rides him that he’ll have him where he needs to be. But he also knows that if they are going quick enough that he can gather his horses up pretty quick as he did at Keeneland. Eric Wing: Okay, now I think you told Marcus that Jose Lezcano would be riding Boisterous in Chicago. Who’s got the mount on Point of Entry? Eric Wing: Johnny V. Back to Johnny V. Okay. Eric Wing: Very good. Well, Shug, really appreciate you taking the time to talk with us about all three of your Grade 1 runners on Saturday. And as others have already expressed, we wish you the best of luck on both fronts, New York and Chicago come Saturday. Shug McGaughey: All right, thank you very much. Eric Wing: Thank you. That’s Shug McGaughey, Hall of Fame trainer, and he will be in Saratoga to give a leg up to John Velazquez aboard Point of Entry, and also for Sea Island in the Alabama Stakes. And out in Chicago he’ll be represented by Boisterous in the Arlington Million. Shug looking to win his first Arlington Million in what will be just his second try. And with Sea Island in the Alabama, he’ll be looking to win Alabama stakes number five. The others coming in chronological order: Classy Cathy in 1986, Versailles Treaty in 1991, Heavenly Prize in 1994, and the most recent was Pine Island back in 2006; a nice quartet of fillies there. And, again, all three of those McGaughey runners they’ll be wearing the familiar black and cherry silks of the iconic Phipps Stable. Okay, time to shift our sights more specifically on Arlington Park. And to help us do that we have in a gentleman who will be wearing out a path between the paddock and the front side. He’s got Little Mike set to go in Arlington Million 30, and he’s got a trio of pre-entrants in the Grade 1 $400,000 Secretariat Stakes, which like the Arlington Million is a mile and a quarter grass race there in Chicago. He’s got Silver Max who won the Virginia Derby, Cozetti who just won the American Derby, and Finnegans Wake who ran a more than respectable third behind Silver Max in the Virginia Derby. With us now, Dale Romans. Dale, it’s Eric Wing. How are you today? Dale Romans: I’m doing well. Eric Wing: Dale, the first question I guess, you’ve got the three pre-entrants in the Secretariat, and I know you entered more than you ultimately ran in the American Derby. Do you plan to run all three of your pre-entrants in the Secretariat? Dale Romans: If everything goes well, all three will start. Eric Wing: Okay. I guess first I want to ask you about Little Mike. Now you ran Guys Reward in the Fourstardave. There aren’t a whole lot of spots for middle distance grass runners at this time. Is this a case with Little Mike where you’re kind of crossing your fingers with respect to distance? Dale Romans: Well, every time you ask a horse to do something for the first time you have to cross your fingers a little bit. But I think if you look at his form, his two best races are a mile and an eighth, and nobody thought he would ever go that far. And so maybe with a little different pace scenario he can stretch that speed and maybe even be at his best. Eric Wing: I mentioned, Dale, Cozzetti and Finnegans Wake earlier. Now Silver Max comes in as the marquee horse of your three; quite possibly if not likely he’ll be the Secretariat favorite. Would it shock you though given the nice little turf resumes that Cozzetti and Finnegans Wake have been building, would it shock you if one of those two jumped up and actually beat Silver Max on Saturday? Dale Romans: Silver Max is in such good form, and he’s just such a nice horse that he’s going to be difficult to beat. But if he was to stub his toe or something goes wrong in the race, it wouldn’t surprise me if one of these other two were the ones to beat him. Danny Brewer: Silver Max has been golden this year. Are you concerned that he may be due to maybe have a not so great effort, because he’s been so good all year long? Dale Romans: Well, I wouldn’t call it concerned. I mean but it is unusual for a horse to go on such a winning streak like he has on the grass, and it’s wire to wire. The only horse that’s really been in front of him is the one that the saddle slipped on in the Virginia Derby, and that was—that showed me a lot with the horse, though, but he didn’t get aggressive. If he was going to, you know, if he—he would’ve had plenty of excuses to get beat in the last race, and he didn’t do it. He had the soft ground, and he had the first time mile and a quarter, he had the horse with the saddle slip run up and look him in the eye, and he still got the job done. So, you know, I really don’t have a concern with him right now. Danny Brewer: Could he be considered for three year old horse of the year given if he can continue doing what he’s been doing? Dale Romans: It’s difficult for a turf horse especially when you have a dirt horse out there that won the first two legs of the Triple Crown. I mean I think that it’s good for conversation, but he’ll have to go on and finish out the year awfully strong, and maybe have a big impact against the older horses in the Breeders’ Cup. Danny Brewer: Where do you see him landing in the Breeders’ Cup as far as with rank right now? Do you have an idea? Dale Romans: I really don’t. We’ll I have to make a decision after this race whether we shorten him back up and focus on the mile, or if we think that he can take that speed and go a mile and a half. Those are very rare horses that can do that, but I mean he’s a rare horse. Danny Brewer: Dale, I appreciate your time and I wish you the best of luck. Alan Carasso: Now you’ve obviously been to the winner’s circle before for the Secretariat a couple times since 2004. How does any one of your horses, like specifically Silver Max, rate with Kitten’s Joy, and Paddy O’Prado? Dale Romans: He’s a little different horse than both of them, and they had a lot of similarities. Their sire was the same, and they had similar running styles. I mean Silver Max is just a different type of horse. You just drop his head when you leave there and let him run. He goes from gate to wire as fast as any horse can go. And so he’s a little bit different. But, you know, this is a—this is a great race. It’s produced a lot of super horses, and hopefully Silver Max can follow right in their footsteps. Alan Carasso: You must’ve had some kind of question going into the Virginia Derby as to whether he’d stay the mile and a quarter, and then you had sort of, you know, yielding ground to top it off. He seemed to handle that pretty well. And I guess that means you’re feeling reasonably confident with the prospect of the yielding ground this weekend? Dale Romans: Well, he answered a lot of questions in Virginia. Like I said, if he was going to get beat, he had plenty of excuses to get beat that day, and backed up all the challenges. And it’s going to be little deeper or stronger field, but I wouldn’t trade places with anybody else. I feel very confident. Jennie Rees: Yes, Dale, could you just kind of talk about the complexion of the Arlington Million from who we know is expected to enter, and how you feel about the European contingent and what else is out there? Dale Romans: Well, you know, it’s very true to have handicapped it that close. I know that the Europeans are always going to be tough. They always bring over their best horses. With my horses, it’s not as important. I didn’t look. I don’t think there’s as—very much speed in there. I don’t think there’s anybody that can run with him early, and it’s just going to be a matter of whether or not Mike can get the mile and a quarter at this level, and if anybody can run him down late. Jennie Rees: And just sort of your thoughts on the Arlington Million? You had I guess Kitten’s Joy, didn’t he run in there, or did he get…? Dale Romans: He did run. He was second. He was second in the Arlington Million. Dale Romans: And, you know, this is a race—it’s the 30th year, so I guess I turn 46 today, so I was 16 when it started, and it’s always been a race that I’ve loved to watch. There’s never been a greater race than John Henry and The Bart when they hit the wire together, and that’s why there’s a statue of them at Arlington Park. And it’s—there’s a handful of races outside of the Triple Crown and Breeders’ Cup that I think most horsemen want to win, and I think the Arlington Million’s one of them. And so any time I get a chance, I want to try to run a horse in the race. Jennie Rees: You’ve got perhaps the most high profile depth-wise stable you’ve ever had, and a couple of them have been kind of disappointing lately. I mean just sort of talk about the summer the way it’s gone. I mean Silver Max obviously has been the one that just keeps winning and winning, but, you know, Shackleford getting beat, Dullahan getting beat. Dale Romans: Well, you know, we had two horses—two of the stars throw clunkers, but I mean she ran well, but then we also had Quick Wit jump up and run a big race and put himself up in the top five in the stable. So the summer’s been—hasn’t been great, but it hasn’t been terrible. I’d hate for anybody to feel sorry for us. But Shackleford came out of his race in good shape. I think the mud hurt him a lot. And, you know, Dullahan, we’re going to give him a chance to bounce back on what seems to be his favorite surface. We’re going to take him to the Pacific Classic for—and run on Poly. Jennie Rees: What would maybe be next for the Shackleford at this point? Dale Romans: Well, you know, first—the first and foremost fast tracks. Dale Romans: We won’t—he’s 0 for 3 in the mud. That’s just seems to be Superman’s kryptonite. He doesn’t like it at all. And so if the track’s fast and he does—keeps training the way he trained today, then we’ll run him back in the Forego. Jennie Rees: Okay. Thanks, Dale. Marcus Hersh:: Dale, you talked about Silver Max you just drop his head and let him go. Is Little Mike the same way, or is he more ratable? Marcus Hersh:: Okay. Is that going to be your answer to all my questions? Dale Romans: No, I’ll answer that question. Marcus Hersh:: Oh I get it. I’m laughing now. Dale Romans: They’re very similar horses. They both just break and run. And that’ll be the same—they’ll both do the same thing Saturday. Marcus Hersh:: And with a horse like Little Mike, do you want him to open up a lot of space on the other horses who have, you know, more traditional turf running styles and maybe big kicks, or would you rather see a scenario like in the Turf Classic where the pace really kind of gets backed up a little more? Dale Romans: I just want him to get out and get a few lengths in front and get comfortable in his stride and have something left to kick home with. Marcus Hersh:: What’s the best front-running turf horse you’ve ever seen? I know you’ve been around the track for a long time. Marcus Hersh:: Yes, that’s what came to mind for me. When you have a horse who shows a lot of speed and they obviously like grass, I mean is the first inclination to try to get them to come back and change the way they run? Dale Romans: It hasn’t been for me. I mean these are the only two that I’ve had like this, and it just seems like they’re—they have plenty of stamina and strength and we just let them roll. Eric Wing: Dale, if you were to win the Secretariat you’d be the first to win that race three times, separating yourself from pretty distinguished trainers in Lefty Nickerson, Aidan O’Brien, and Bill Mott. Both Kitten’s Joy and Paddy O’Prado went on to the Turf Classic at Belmont from their Secretariat wins. Would that tentatively be the plan should one of your three prove capable enough on Saturday? Dale Romans: Yes, I would think so. I think that’s the way we would go. You know, we had to really think about it with Max whether or not we want to try to get him to go the mile and a half, but if he wins two mile and a quarters back to back, then we might go Joe Hirsch and then try the Breeders’ Cup Classic—Turf Classic. Eric Wing: Okay. And last question, Dale. Robby Albarado gets the return call on Silver Max; however, Ramon Dominguez will be riding Little Mike for the first time. Will you have to, or will you give Ramon any specific instructions beyond what you’ve already told us to just get him comfortable? Dale Romans: No. I think Ramon doesn’t need many instructions, and he knows what kind of horse he is. We’ve talked about him before, and we’re just glad to have him as—Joe Bravo’s done a great job on him, but he has a previous commitment with one of Pletcher’s horses, and so we’re glad that we can get Ramon. Eric Wing: Turbo Compressor I would imagine. Yes, he had to pick his long distance grass horse and grass race. Well, Dale, want to thank you as always for coming on the call. It goes without saying we wish you good racing luck in Arlington Park with Little Mike, and Silver Max, and Finnegans Wake, and Cozzetti, and we’d be remiss if all of here at the NTRA didn’t also wish you a very happy 46th birthday. Dale Romans: Thank you very much. Eric Wing: Thank you, Dale. Eric Wing: That’s trainer Dale Romans. He’ll be headed to Chicago, as will his quartet of very talented grass runners. Again, Little Mike in the Grade 1 million dollar Arlington Million, the 30th Renewal, and a trio of strong contenders in the Grade 1 $400,000 Secretariat Stakes also to be run at a mile and a quarter in Silver Max, Cozzetti, and Finnegans Wake. Okay, that will bring us to our third and final guest today, and he’s the trainer of Grace Hall, the Delaware Oaks winner, the winner up in last year’s Breeders’ Cup Juvenile Fillies, and Tony Dutrow will be saddling Grace Hall in Saturday’s Grade 1 $600,000 Alabama Stakes. Tony, it’s Eric Wing in New York. How are you this morning? Tony Dutrow: Hi, Eric. I’m fine, thank you. Eric Wing: Tony, the issue never seemed in doubt with Grace Hall in the Delaware Oaks watching that race live, and again on replay. Are you confident about the stretch out to a mile and a quarter? Tony Dutrow: Having haven’t seen her done that yet, I can only be so confident. I have been very happy with her getting a mile and an eighth, and I really don’t have any concerns other than to hope that she will get the mile and a quarter. But we’re feeling really good about the distance with her. But I’ve got to talk intelligently, and until a horse has done something, I think we’re all just taking a real good guess. But, once again, I’m feeling good about the distance of the race. Eric Wing: And I guess that mile and a quarter guess is something that all of the Alabama trainers will be wondering about. We had Shug McGaughey on earlier who will be saddling Sea Island, and it was brought up a couple of different times about how salty this prospective field for the Alabama is. You’ve got the Kentucky Oaks winner in Believe You Can, you’ve got the Mother Goose winner in Zo Impressive, you have the Coaching Club Winner in Questing, In Lingerie from the Pletcher Barn certainly no slouch. Having said all that, based on your horse’s history, Tony, do you feel that you have the horse to beat? Tony Dutrow: Well, as you just said, there’s going to be some really, really good horses finished last and next to last. And as far as the horse to beat, wow, in a field like that they all are the horse to beat. Grace Hall is coming into this race excellent. I don’t feel that—I—all of us around her working around, we think she’s getting better. We truly think she’s getting better. She’s showing us that she’s getting better. I hope that actually happens, but as far as what we’re seeing from Grace Hall is everything we’d want to see. Eric Wing: Well, it certainly shapes up as a fascinating race on paper that’s for sure. Tony, of my—with my first two that it precluded any possible other questions. But I do have one more, actually. You elected to stay home in Delaware for the Delaware Oaks with Grace Hall. Did that race become more attractive than say the Coaching Club American Oaks given the fact that you already knew Grace Hall could handle Saratoga based on her Spinaway win? Tony Dutrow: No, I—after she won the Spinaway in the second start of her career last year, and that shows you that we’ve thought highly of Grace Hall to go from a maiden race at Delaware Park to the Grade 1 Spinaway at Saratoga. When she was successful with that, we made a—put a lot of thought into it and made a campaign with her in her three year old year to try and win a championship with her. And we knew that the biggest race out there for three year old fillies was the Kentucky Oaks, and we fell short in our effort to win that. And then after that we felt that the second best three year old filly race that’s run in this country would be the Alabama Stakes at Saratoga. So we freshened her after the Kentucky Oaks, and we thought that we’d bring her back into Delaware Oaks and on to the Alabama. And we feel that with having only run four times this year that she’s relatively a fresh horse in going into the Alabama in the fall. And that’s been our plan and we’re hopeful that it’ll work out. Eric Wing: Tony, you’ve had a nice meet at Saratoga thus far; 5 for 23. I know you took the night cap yesterday. You been enjoying yourself up there? Tony Dutrow: Oh, Saratoga’s great. You know, it’s one of the few places that the—especially the owners can get around and see racing at its finest, and in an atmosphere that’s made for horses. And it’s busy up here, a lot going, but once again, the clients put up so much both financially and with their patience, that Saratoga’s just a great place for them to get up here and enjoy horse racing at its finest. And I do enjoy it all. It’s a busy place, and you don’t get a lot of sleep up here; you’re always, you know, doing something horse related. But I do enjoy it and I think that it’s really one of the wonderful things that horse racing has left. Eric Wing: Well, Tony, I know trainers never really have a day off, but—and that things are very busy up there, but we sure do appreciate you taking time out of your quasi day off Tuesday to come on and chat with us about Grace Hall, and we wish you and your filly the best of luck on Saturday in the Alabama. Tony Dutrow: Well, thank you very much, and really, don’t feel too sorry for us horse trainers, because I think most of them would agree that we’re on a vacation every day. So many of us get to get up and work with these beautiful horses, and it’s really a wonderful situation. So I think most of them would tell you that every day is a vacation. Eric Wing: Well, that’s a great way to look at it, Tony, and I’m sure that the majority of your peers would agree with you. Thanks again so much for coming on with us. Tony Dutrow: Thank you. Thank you for having me. Eric Wing: Thank you. That’s trainer Tony Dutrow. He’s got one of the finest three year old fillies in the nation in Grace Hall, and she’ll be in with some other mighty talented fillies Saturday in what is really the marquee race for three year old fillies of the summer and at the Saratoga meeting obviously: the Grade 1 $600,000 Alabama Stakes at Saratoga. That race, along with the Sword Dancer Invitational will be shown live as part of the “Summer at Saratoga” series on the NBC Sports Network. That’ll air live from 5 to 6 p.m. Eastern on Saturday. And, again, don’t forget about all the coverage on HRRN of the International Festival of Racing at Arlington kicks off at 4 p.m. Eastern and they’ll have the live runnings of the Arlington Million, and the Beverly D., the Secretariat, and the inaugural American St. Leger Stakes. We’ll be with you again a week from today, Tuesday, August 21st. We should be back at our more normal time of 1 p.m. Eastern then, and at that time we’ll be taking a look at races, including the Travers and the Pacific Classic. Glad you could join us today. Hope you can be with us again next Tuesday. Thank you.